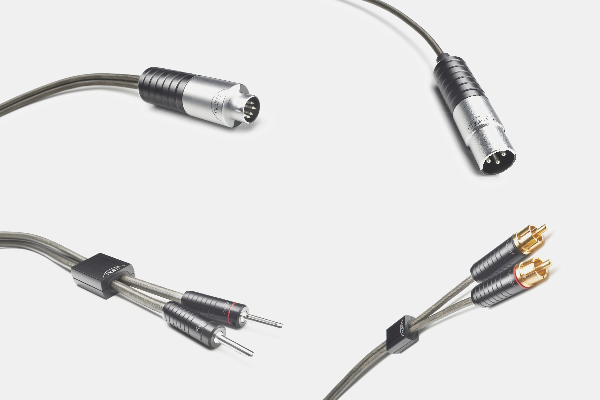 The range offers you some long-awaited cable upgrades for your Naim system. Read on for Mike's thoughts on these new additions to the Naim line-up. After the arrival of Naim's long-awaited Super Lumina speaker cable, and matching DIN to DIN interconnect, I was truly staggered at what this combination could add to an already very serious system. We tried it with an NDS/555DR Power supply combo, through a 252/Supercap DR into a NAP300 power amp, with various combinations of speakers. Now we've received the final piece of the puzzle – Naim's Super Lumina cables to run into their power amps. We gave them a few days to run in, and then time for a critical listen (same electronics, and again various speakers). Until now, I thought we had a complete solution… but running the full SL loom just completes the picture. I've been using and selling Naim for over a decade, and now with these cables I can suddenly understand just how good the electronics are. It isn't that the standard Naim cables are lacking… they have musicality in spades, but with Super Lumina added to a great and well-balanced system it's possible to get all the “HiFi” details, imaging & clarity, but without having to sacrifice the dynamics, the rhythmn or the timing of the music. Good enough that I'm hesitant to try it in my own personal system, as I think it would reveal a foregone conclusion. Approach with caution! Every link in the audio chain is important. It’s something we’ve confirmed time and time again in listening tests. That’s why during the development of Statement, our flagship amplification system, we began a project in parallel to design a completely new range of high performance Naim cables. We started with a blank page, specifying each element using our expertise in cable construction and material science and based on the results of thousands of hours spent in the listening room testing prototypes. The Super Lumina range is the result. Consisting of audio interconnects and speaker cables, the range is capable of meeting the demands of Statement but is equally at home in other Naim 500 and Classic Series systems.